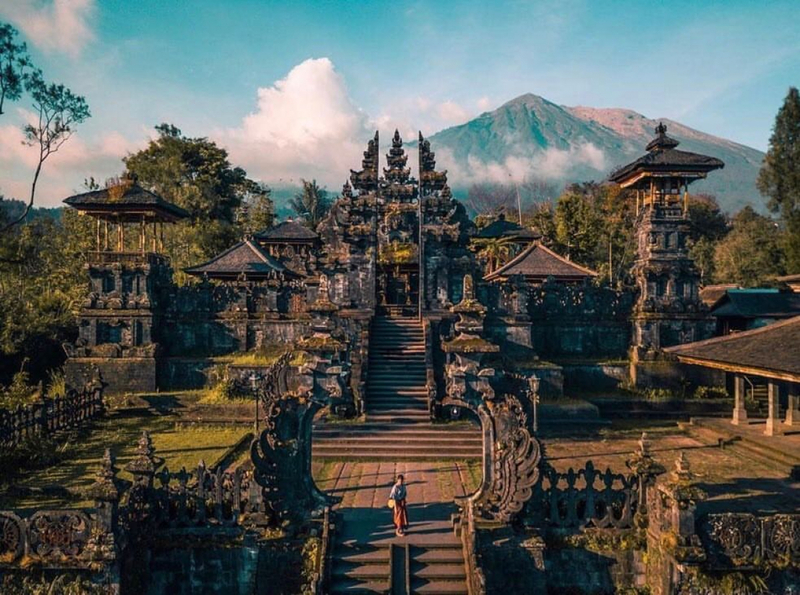 The island of Bali is an exception in terms of its population’s religiosity in Islam-dominated Indonesia: In Bali, the majority of the population follows Hindu traditions. Here, a specific Balinese variant of Hinduism has developed from the close integration with local religious practices and deities, such as the rice goddess Dewi Sri. The colorful variety of smaller and larger religious rituals and celebrations at temples, small shrines and special places in nature not only determines everyday life on the island, but also seems to be appreciated by tourists. It is difficult to determine the relationship between the interest in an unknown culture, the need for the exotic and the longing for spirituality. In any case, however, the reference to religion seems to promise auspicious effects for marketing strategies. 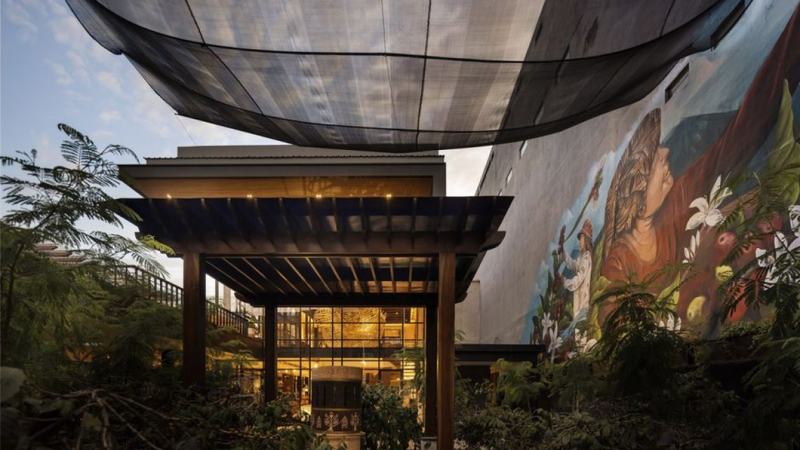 In mid-January this year a new Starbucks branch opened in Kuta, the tourist centre of Bali, which bears the resounding name Starbucks Dewata Coffee Sanctuary. By placing the Javanese term Dewata (plural of dewa, javan. “deity”) between the words “Starbucks” and “Coffee”, Bali’s self-evident reference to deities stands in the middle of the name and thus acquires both a local character and a religious connotation for this branch of a globally active concern that pursues economic interests. In addition, with the term “Sanctuary” an internationally identifiable religious framework is created, that even those who are not familiar with the Balinese tradition will recognize. It is quite obvious that drinking coffee at Starbucks in Bali shall not be regarded as a primarily profane act of drinking a liquid, but shall be associated with special esteem and understood as similar to visiting a Balinese temple. The explicit reference to religion in the naming works like a seal of quality and suggests to the customers that they can experience their coffee consumption as a religious act or at least as an act in a sanctuary, in a place of deities. 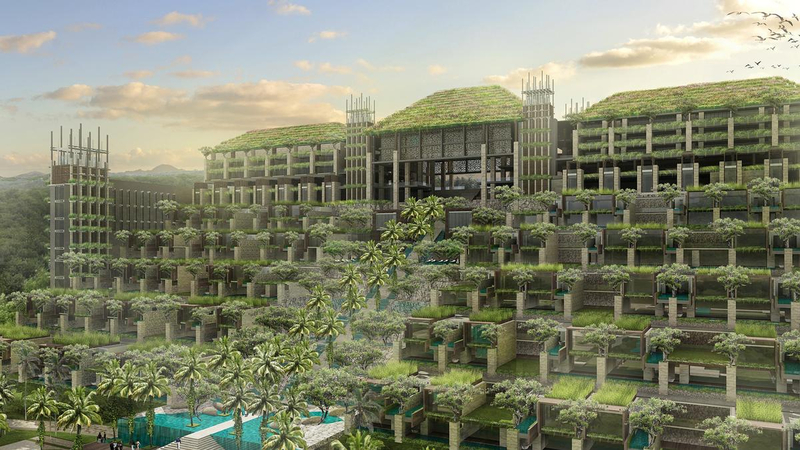 The architectural construction of a newly opening luxury hotel located also in Bali aims in a very similar direction. The Apurva shows already with its name (the Sanskrit term for “unique and splendid”) that it is the new jewel of the Kempinski hotels, claims manager Vincent Guironnet. The architecture is reminiscent of the rice growing culture of the country and the Balinese temples. With a 250-step staircase, the spatial construction of the hotel refers directly to the complex of the most important temple on the island Pura Besakih. It also offers a “stage for nocturnal rituals”. It seems that the hotel, which has extensive, luxurious spas etc. and offers “Balinese treatments”, wants to qualify the usual space for celebrations, festivals and performances (like the popular fire dances) as religious. The reference to “nocturnal rituals” opens a space for religious actions or at least religious associations in the secular context of “hotel”. Just as in the commercial coffee house, a religious dimension is introduced into secular areas through spatial design and naming. Here, religious framing is assigned a meaning that increases quality and turnover. An expression of new appreciation of religion in secular contexts or simply another advertising strategy?